Though loyalty is a primary requirement of God for leaders within the church, very little has been written on this subject. 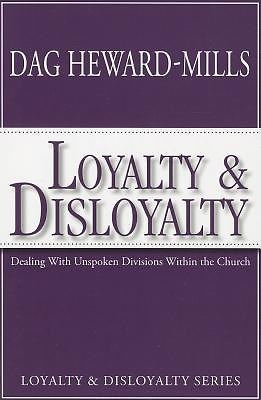 Disloyalty from members of the church contributes to the bulk of divisions that the average church experiences. But again, church leaders often struggle with this problem in silence. Few resources are available to address this important issue. In this book, Dag Heward-Mills, who has planted almost 1300 churches around the world, outlines very important principles with the intention of increasing the stability of churches. So relevant and practical is the content of this book that it has become an indispensable tool for many church leaders. Over one million copies have been distributed to church leaders around the world. Now, this important resource is available to church leaders in the United States.h leaders in the United States.